If there’s one thing I see a lot of is people asking what is the best e-cigarette. It’s hard enough making the decision to give up smoking for something better. 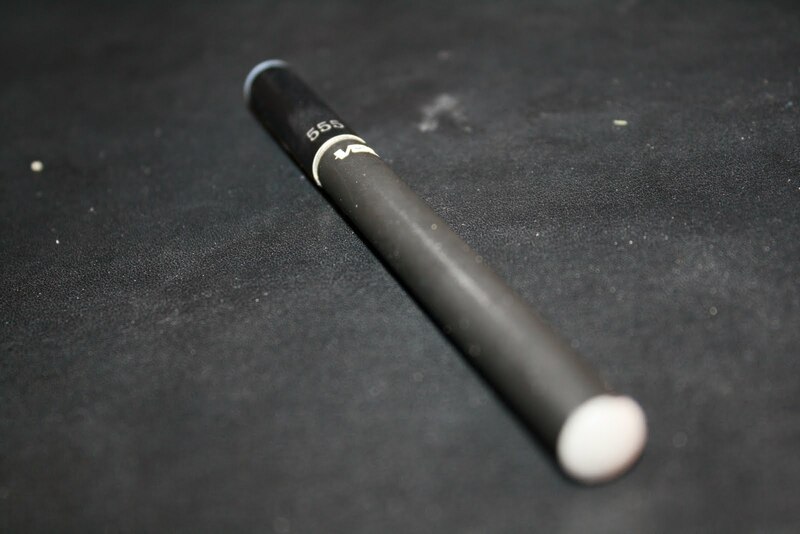 Now you have the added task of finding a good electronic cigarette. 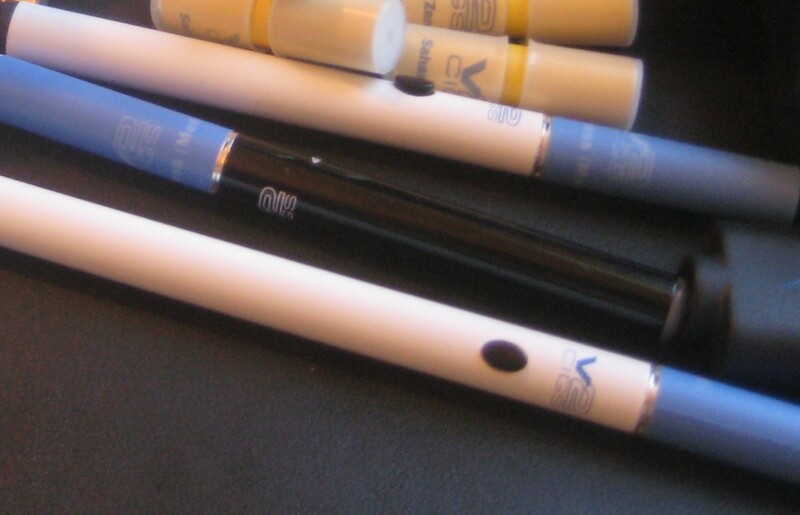 You might have noticed a lot of e-cigarette sites online these days. There’s also no shortage of people, companies and “legit” review sites willing to tell you exactly who has the best e-cigarette. The problem is a great deal of them are full of unmitigated crap. Is THIS the best e-cigarette? If the hype is to be believed, there are approximately a zillion brands that are better than all the rest. I’m not great with math, but I’m pretty sure that’s impossible. So you end up getting flooded with e-cigarette companies hyping their marketing on you, or reviewers who are simply trying to get you to click on ads for those overhyped sites. Some may even offer “free” trials. If you take nothing else away from this site, please don’t fall for one of those gimmicks, there’s no such thing as free. The good news is I won’t sit here and make some claims that whatever brand pays me the highest commission is the best brand. The bad news is also that I won’t tell you what the best e-cigarette is. I feel that picking the “best” e-cigarette is a highly subjective thing. What I think is the best device out there may not be something others like, heck it may not really even a resemble a cigarette at all. So I’m basically going to tell you to do a little bit of homework, maybe provide some advice and send you along your way. Despite the fancy branding, e-cigarettes generally have a lot of similarities, and do the same basic thing, heat liquid into a vapor which you inhale. Many of these popular brands are exactly the same thing with just different packaging. Rather than looking at brands, think about it in terms of types, or standards of electronic cigarettes. With the exception of some big brands that are totally proprietary, most electronic cigarettes use one of several standard threading types. Components are interchangeable as long as they use the same threading, so if you end up not liking the kit you do purchase, you can always keep the batteries and just buy new cartomizers or atomizers for them. There are quite a few of these different standards running around out there. Most of the threading standards will have some sort of number in their name. Probably the most popular standard is the Joye 510 (often referred to as just 510). The two most popular 510 battery styles are the standard battery which is about the same diameter as a regular cigarette (a fully assembled battery and atomizer/cartomizer is a little longer than a 100 style cigarette). The other battery type in the 510 family is often referred to as an eGo battery, which is much fatter, but holds a lot more battery capacity. Other popular styles include the KR808D-1 and the DSE 801 and 901 styles. I generally use the 510 styles, so that’s what I’ll be talking about throughout the article, but again, this advice should translate to any style. Ok, I’ve been here before when I started. I wanted my e-cigarette to be as close to its smoke burning stinky cousin as possible. This translated into a small automatic battery that turned on as the e-cigarette is being puffed. Nothing wrong with that at all, and there are plenty of options if that’s the route you want to go, it may make the transition easier for you. However, if you might be open to something slightly less cigarette like, let me throw a couple of suggestions your way. Try a manual battery. Manual batteries have a little button on them, and your e-cigarette won’t activate until you press the button. This is a little bit unnatural compared to smoking a cigarette, but it doesn’t take very long to get used to. There are a couple of benefits to doing so. First, you’ll get better vapor, the heating units vaporize better if they are warm, with a manual battery you can press the button before taking a puff, which will give you generally better vapor production than starting out with a cold atomizer. Second, if you ever want to try dripping directly onto your atomizer, doing so with an automatic battery could potentially damage the battery. Dripping is a little out of the scope of this article, but I do visit it a little bit in my atomizer article as part of this e-cig 101 series. 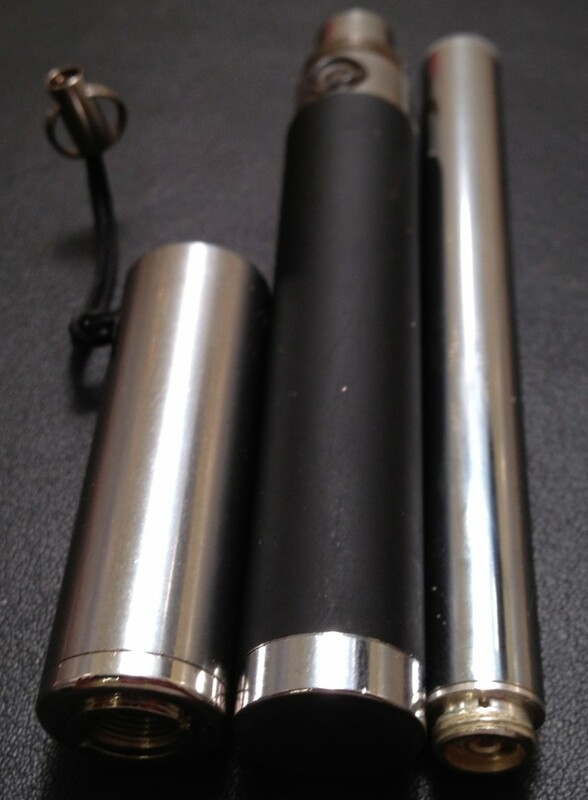 The other suggestion I offer is to consider going to one of the larger, eGo style batteries. There’s a pretty simple reason for this, the bigger the battery, the longer it will last. Typical mini batteries will last you anywhere from 30 minutes to a couple hours of use depending on how heavily you use it, the big batteries can last anywhere from a few hours to all day without a recharge. Bigger batteries also work better for low resistance atomizers and cartomizers, which is also outside of this article, but it might be useful information to keep in the back of your mind for later. This is a little bit tougher to give a straight answer to. Most kits are going to come with some pre-filled cartridges or atomizers. Generally, the pre-filled models work pretty well and actually usually taste pretty good. But, buying the pre-filled replacements can get to be a little bit pricey. 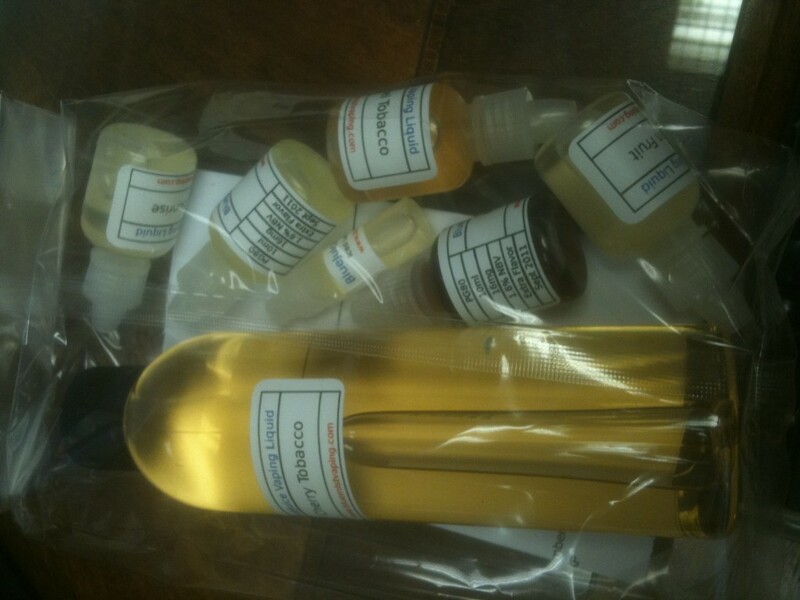 Many people instead opt for empty or “blank” refills and buy their nicotine liquid (AKA e-Liquid or e-Juice) separately. There tends to be a whole lot more flavor variety in buying the liquid ala carte as well. To be honest, it might be a little overwhelming, so if you choose to go pre-filled at first and then switch to buying the liquid once you are a little more comfortable around everything, that may be a pretty solid strategy. One thing to point out with the pre-filled cartridges, the almost never last as long as many sites claim. Cartridges are usually good for about 3-6 cigarettes worth and cartomizers will get you up to maybe half a pack a day (unless you go with a HUGE cartomizer). This question is definitely one of personal preference in my opinion. This is yet another in-depth subject, but I’ll give you the quick and dirty run down. Atomizers, especially in starter kits are part of a three piece system and use cartridges filled with some sort of material saturated with nicotine liquid. Atomizers tend to last longer (though they do eventually need to be replaced). 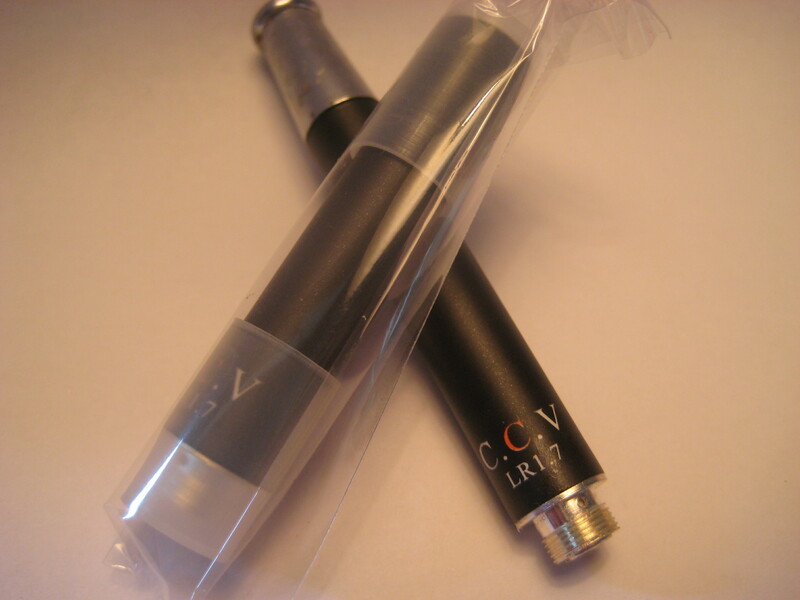 Cartomizers include the atomizer and cartridge in a single piece. They generally hold more liquid so last longer than a cartridge, but are considered disposable. Depending on what type you get, you might be able to refill them, but they still will last from between less than a week and a month at most. As you may have guessed, I don’t thing there’s a right or wrong answer. This will likely take some amount of trial and error for you to find what you like the best. For detailed information, visit the article I wrote on the subject. Ok, just kidding. No more questions, now I’ll tell you what to do. Alright, what e-cigarette gear should I start with? At a minimum, you should probably make sure you pick up the following essentials for your first kit. Prefilled cartomizers or cartridges – enough for a week (plus shipping time) use the numbers from earlier to determine how many that might be for you, you don’t want to run out before more can arrive! e-Liquid if you’re going to fill your own, stock up on enough liquid to get you through, it varies from person to person, but on average people use 3ml per day. Most likely you will use less at first. Are one of THOSE the best? I probably have now left you with more questions than answers. You may have come here looking for someone to just tell you brand X is great! Sorry about that. If you still are seeking answers, you can always leave a question in the comments section below. You could also visit the e-Cigarette Forum which is a massive community about all things e-cigarettes. This is a great place to research the subject (and spend hours making new friends). Still have questions? Feel free to ask in the comments section below! Specific to the ProVari, a few complaints I hear often is the menu system, the red display, the size and the cost. Plus, to be honest I'm a firm believer that for most people to successfully transition over to e-cigarettes, they need something pretty close to the traditional cigarette experience. So that's going to be something like a 510 or 808. I think a lot of people might be turned off if faced with a complex and expensive solution no matter how well it worked.Don't get me wrong I love my mods, but I wanted to try and be more inclusive of people with all levels of experience and tastes. 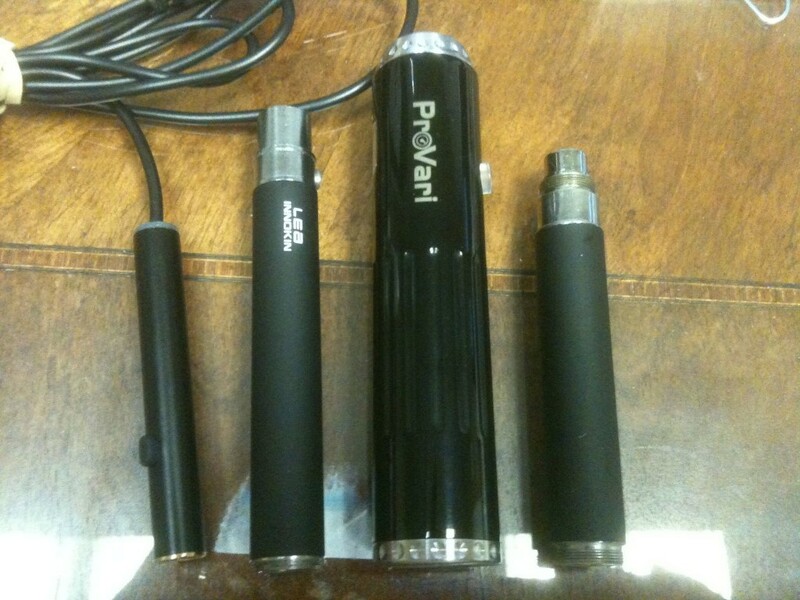 I will roll out a review on the ProVari and some other mods (along with some more basic stuff) in the next few weeks. I have the pass through on the way, maybe it'll be in tomorrow. I'll hopefully be able to play with it over the weekend and have a review up on Monday. I just ordered a silver bullet monday night. I got the silver vein style. I kinda wanted something indestructible and that will last a long time and something I dont have to charge every few hours. We'll see how it goes. Wow, wonderful blog format! How lengthy have you been blogging for? you make blogging look easy. The total glance of your site is wonderful, well the content material! Thank you! This site has been online for six months.